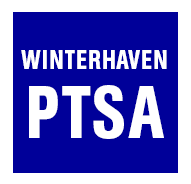 Monday, April 24th (9:30-1pm) is Winterhaven's next assigned volunteer date at the Portland Council PTA Clothing Center at Marshall High School: 3905 SE 91st Ave, Portland, OR 97266. This is always a really rewarding experience - for many PPS students, this is their only chance to get new clothes for the season. As a volunteer you can help families "shop" for clothes or sort incoming donations--whichever you want. If you have the flexibility in your schedule, please consider volunteering. If you cannot commit to the full 3.5 hours, think about splitting a 1.75 hour slot with a friend! Email Rebekah Folsom (rsatz@yahoo.com) to sign up for a slot or half-slot (9:30-1p, 9:30-11:15, or 11:15-1p).